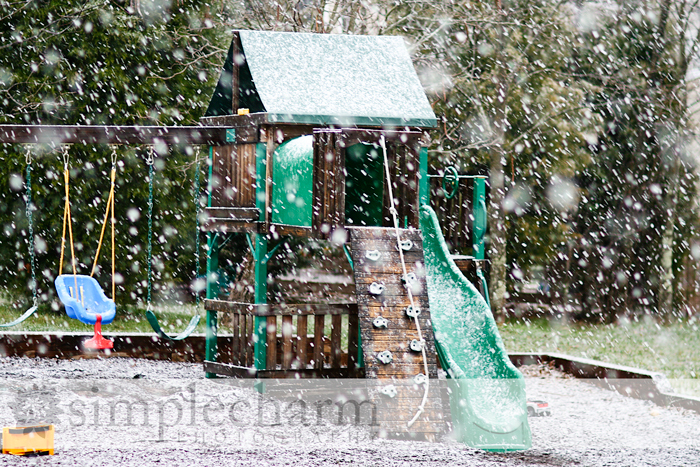 our perfectly imperfect life: Do you see what I see? 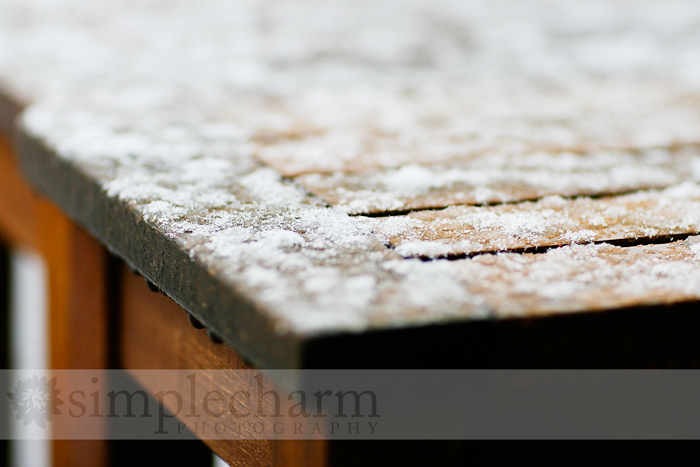 Snow, snow ... beautiful snow! We don't get a lot of snow 'round these parts ... so when we do, it is a big deal! The kids were so excited to go outside and play. 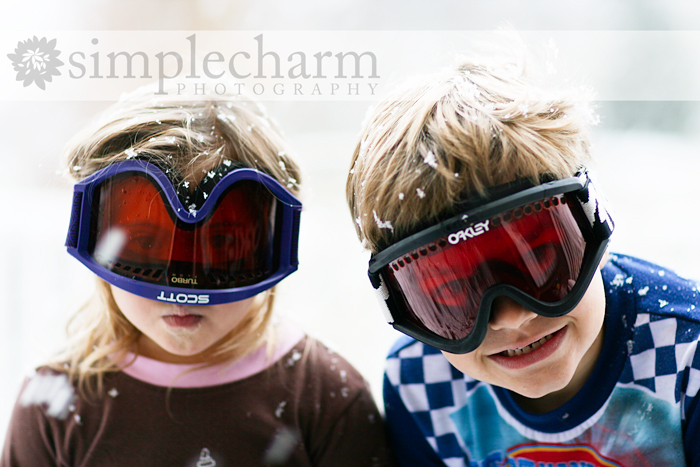 They grabbed their ski goggles and went for it! You see ... that is the problem with living where you don't get a lot of snow. You learn quickly not to waste your money on snow pants and boots ... because it ends up being a one time use thing. But then it snows ... and you are screwed. And you have to send your kids outside wearing pajama bottoms, rain boots and goggles that belong to a bath toy. With Daddy's help, they worked fast to build their snowmen ... and now we are praying that they don't melt by the end of the day. I love the pictures with the goggles! Loks like fun! I can't believe you get excited when it snows ... not me! We get so much over the winter. 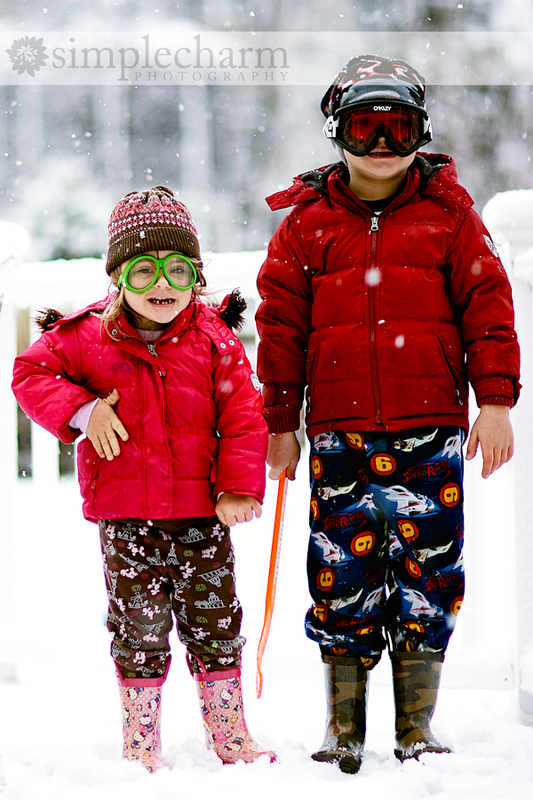 I love their snow outfits - especially the goggles!! 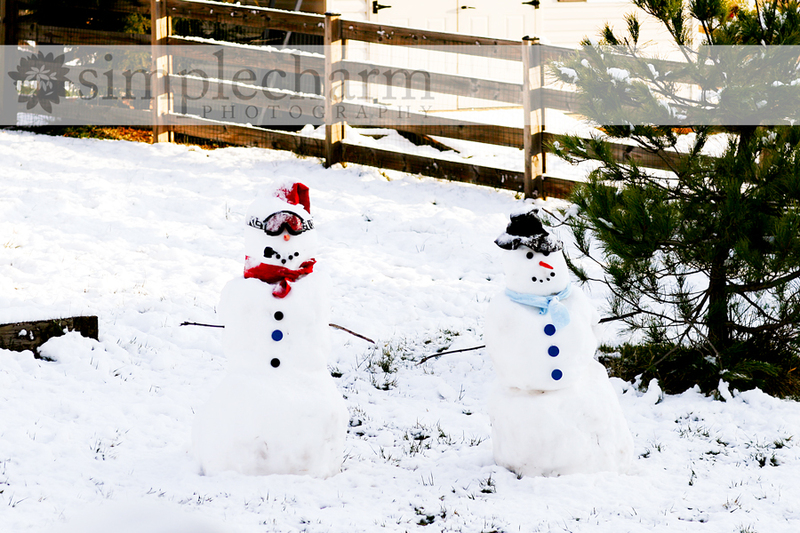 Their snowmen are cute too!